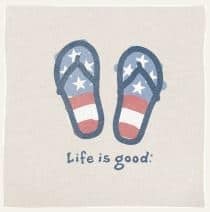 8 Fab Finds For The Fourth! 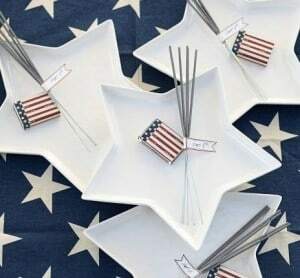 Here are 8 Fab Finds sure to help you celebrate this Fourth of July in style! Wishing you all a wonderful day filled with family, friends, fun food, and fond memories! 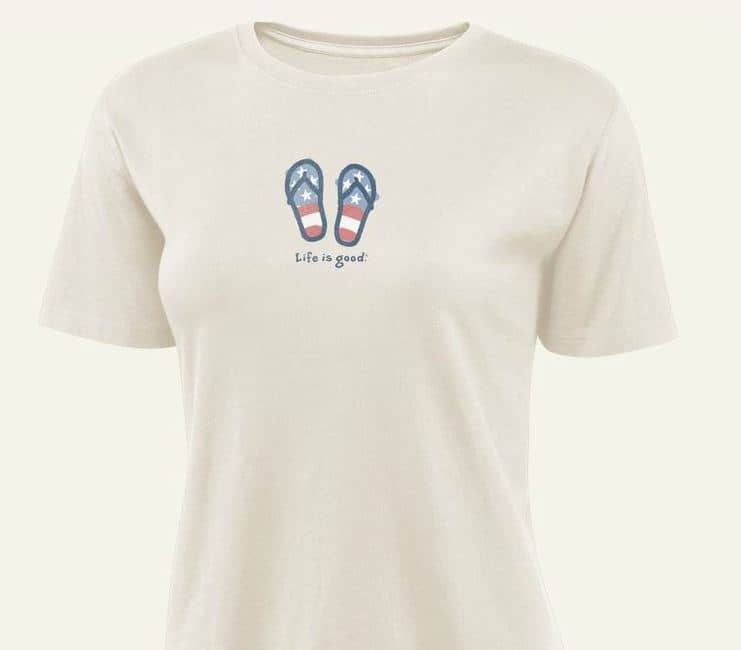 (1) These Patriotic Tees from Life Is Good (starting at $18) are comfortable and durable. 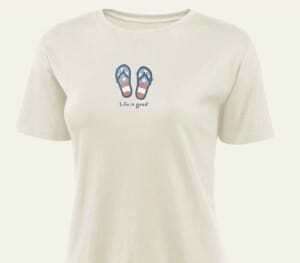 Life Is Good has an entire collection of Patriotic Gear- something perfect for each member of your family. 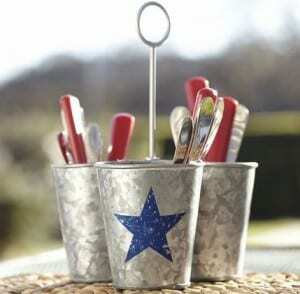 (2) This delightful Galvanized Metal Star Condiment Set (sold out) will organize your essential 4th of July condiments, napkins, and silverware; all while showing off your classic style. (3) These fun 4th of July Pinwheels (sold out) make it easy to add some joy and spirit to your holiday decor. (4) Every backyard event deserves a few multipurpose lanterns. Lanterns are a great way to add warm, radiant light to an evening event. 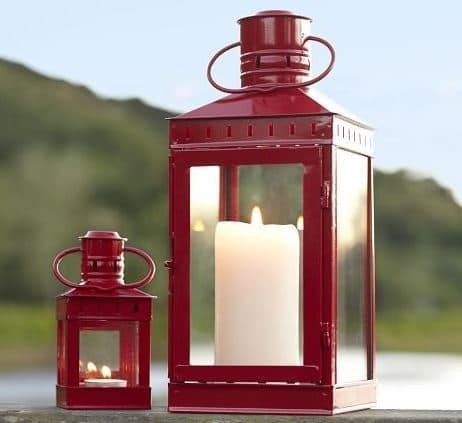 These Red Harwich Lanterns (sold out) can be filled with candles (I like using flameless remote control candles). These stylish lanterns are made of iron with a red painted finish and glass panes. For indoor or outdoor use. (5) This set of Melamine Star Plates (sold out) is darling. 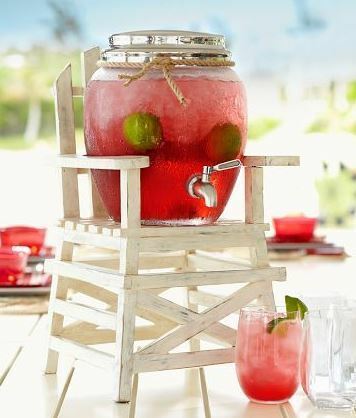 What a great way to add an extra touch of surprise to your July 4th celebration! Dishwasher-safe. (6) This Lifeguard Drink Dispenser Stand (sold out) is too cute! Get that seaside vibe anytime with this fun stand, designed to echo the charm of New England coastal furniture. 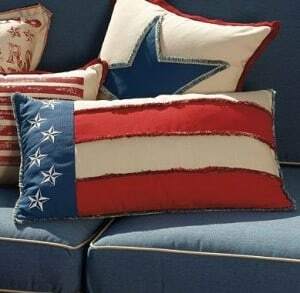 (7) Give your chairs and benches the chance to “show off some spirit” with these charming Patriotic Outdoor Pillows ($95). These pillows are hand-crafted with all-weather fabrics and feature embroidered stars and elegant fringe. Made in the USA. 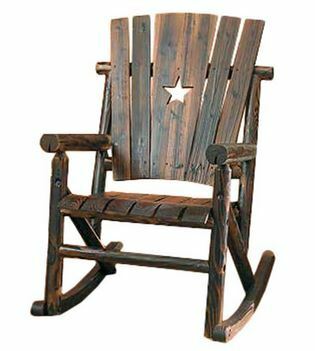 (8) You will be the ROCKing STAR of the neighborhood with this classic rustic Indoor/Outdoor Rocking Chair (sold out) made with a star-shaped cut-out design and charred log finish. I can imagine two of these beautiful chairs paired together on a front porch surrounded by lovely flowers. Love this! I love it when you visit the Mindful Shopper! These are fantastic! God Bless America!!! Thank you so much for taking the time to comment! You are awesome!!! What fun things you found to celebrate the 4th. 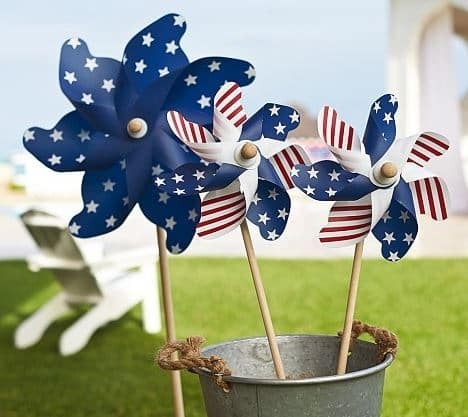 The pinwheels would be fun to stick in flower pots. Lots of patriotic colors! Keep up the good work!! I really appreciate you stopping by! Made my day!! !